Many men experience a stage where they start experiencing the effects of lower testosterone including weight gain and loss of vigor. It’s nature at work, and it’s happening for a good reason – the simple truth is that you aren’t a teenager anymore and the male body changes with age. However, this can be corrected with hCG hormone therapy that raises testosterone and get you feeling back to your younger self. This is good news, and could be a solution for you. If you are feeling lethargic, overweight and lacking in vim, vigor, and vitality, human chorionic gonadotropin – also known as Hcg – could give you the boost you need. The truth is that men thrive on what they get from ‘downstairs’ and it’s your testosterone levels that make you feel like a man. Without the right amount of testosterone, you will find that your days are slower, your workouts less effective, and your ability to fight little colds, coughs and sneezes gets weaker. In this guide, we’re going to take a look at everything you need to know about Hcg. We’re going to discuss what it is, what the benefits are for men, and why it can improve your lifestyle and happiness by a significant amount. Let’s dive into the finer details. 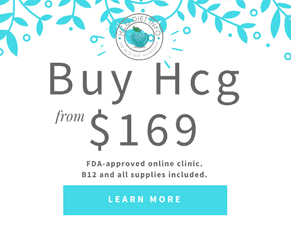 Hcg – human chorionic gonadotropin – is a hormone that is usually found in women. For the female of the species, it can affect all kinds of things to do with the female ovulation process and fertility, whereas in men, it can be prescribed to bring testosterone levels back to their normal – or desired – level. Hcg is sold to both men and women for weight loss, although the FDA has not approved it for this kind of use. It is also used to help with muscle growth, body reconstruction and to be used in conjunction with diets. Why should men take Hcg? As you get older, life tends to start taking its toll. All those fast foods you eat throughout your twenties – not to mention the beers and spirits you guzzle – will catch up with you eventually. You also start to slow down a little when you get older. When you have kids, slouching on the couch becomes a very attractive option instead of hitting the town. You might think this would be doing your body a favor, but in fact, the act of slowing down means your body starts feel deprived. Your biological processes start to tick slower, and your hormones get a little loose. And eventually, they stop working as they used to. Unsurprisingly, all this adds up to a nasty mix that can have an impact on any man. The result is that when many men get older, they start to suffer from poor self-esteem and lack the confidence they once had. And once the old self-confidence starts to go, it’s often joined by a poorer quality of life. Even if you are fine with all that, the health impairments caused by a drop in testosterone production can be significant. If this sounds familiar to you, it might be worth checking out what Hcg can do for you. Let’s go through a few of the benefits of reaching your ideal testosterone right now. What can healthy testosterone levels do for men? The simple fact is that men thrive when they are producing a healthy level of testosterone. Every single biological process that occurs in your body can benefit – and it can do the same for women, too. Whether it’s keeping to an ideal weight, improving your muscle mass, helping your sexual prowess or improving the health of your heart and bones, testosterone can give you a helping hand. As you can see, a healthy production level of testosterone can help you improve a huge array of areas in your life. It can help you work out harder at the gym, build up your muscle to burn off more fat when trying to lose weight, and improve your long-term health outlook significantly. The big question is – how can Hcg help you achieve testosterone balance? Let’s take a closer look. How does Hcg help men with low testosterone? In essence, Hcg has the ability to jumpstart their testosterone production. It acts in a similar way to luteinizing hormone – also known as LH – in men, which is made by the pituitary gland and tells the testes to produce testosterone. You will often find that men who are undergoing hormone replacement therapy, the testes can stop producing testosterone completely. Instead, they are given Hcg to boost things in the right direction. Strangely, Hcg is produced in higher quantities in women rather than men. In fact, men only produce a very small amount of Hcg during their entire lifetime, hence why Hcg is generally prescribed as a subcutaneous injection, and sometimes as drops. So, if you have low testosterone, and are suffering from the major problems caused by low testosterone, Hcg could be the answer. But is it safe? Let’s answer that question right away. Is Hcg safe to use for men? Hcg is safe for both men and women to use, but it is important to understand some of the side effects for men. You might suffer from some light-headedness from time to time, and nausea and dull headaches are not uncommon. People taking Hcg injections, sometimes report issues like mild fatigue, and some will also suffer from the irritation you can get after an injection. There are serious side effects to consider, too, and you should always listen to your doctor’s concerns before taking the plunge – don’t forget that Hcg is prescription only. While Hcg can boost testosterone production, it has been known for the testosterone produced to convert to estrogen – a process known as aromatization. The effects of this process can be dramatic in rare cases. Men can sometimes get swelling in the breast tissue, and in the feet and ankles. Hcg can also lead to the early onset of puberty in adolescent boys. Finally, it is possible to suffer from bouts of mood changes, depression, and irritability, so it’s vital to keep your eyes on your mind while undergoing a course of Hcg. Ultimately, the critical element of Hcg treatment is to involve your doctor at each and every stage. While the benefits can be dramatic, there is a small chance of suffering from the side effects. You should discuss whether those side effects are worth it with your physician, and keep an eye on any strange changes in your body. 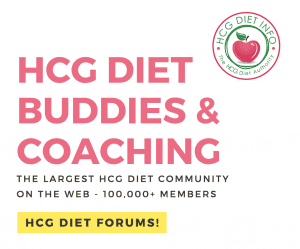 Should I try the Hcg diet? The Hcg diet plan involves creating a low-calorie meal plan throughout the period you are taking Hcg injections or drop – usually a few weeks. As a rule, the diet involves limiting your calories to 500 or 800 per day, and only certain foods can be eaten (you can see the allowed Hcg diet foods list here.) It’s the usual diet mix of veggies, fruits, and proteins, but all of them are selected for their ability to max out the effects of the Hcg. The idea behind the diet is simple. You eat the right foods in the right amounts to boost your metabolism, which in turn means you burn more fat and trigger the relevant growth hormones for losing weight and increasing your muscle. Does 500 or 800 calories a day sound enough for safe weight loss? Many people are worried that this is just too low for a man, although suitable for a woman. But if you use the diet properly and follow the guidelines to the letter, it will stimulate your testosterone production. The diet contains all the nutrition you need to maximize the impact and get the results you desire. Hcg injections or Hcg drops – which is best? 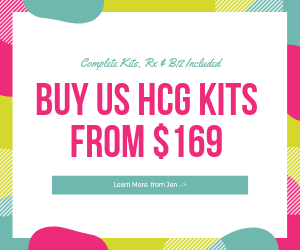 As we discussed earlier, you can purchase Hcg injections or (legitimate) Hcg diet drops when it comes to Hcg weight loss programs. If you are looking for the best possible results, the injections are likely to be much more effective. This is due to the fact that subcutaneous supplements of a prescription grade will go straight into your bloodstream and will be much quicker to take effect. You will lose weight faster, feel better quicker, and give the hormonal processes a significant boost. If you are tired of feeling tired, weighed down with being overweight, or are looking to regain your libido, Hcg can give you the boost of testosterone you need. And your lifestyle will be all the better for it – good luck!